Log homes and cabin retreats are often situated in some of the most naturally beautiful areas in the United States of America. We have an abundance of awe-inspiring nature, and there isn't a better way to experience it than to submerge yourself – just dive straight in. 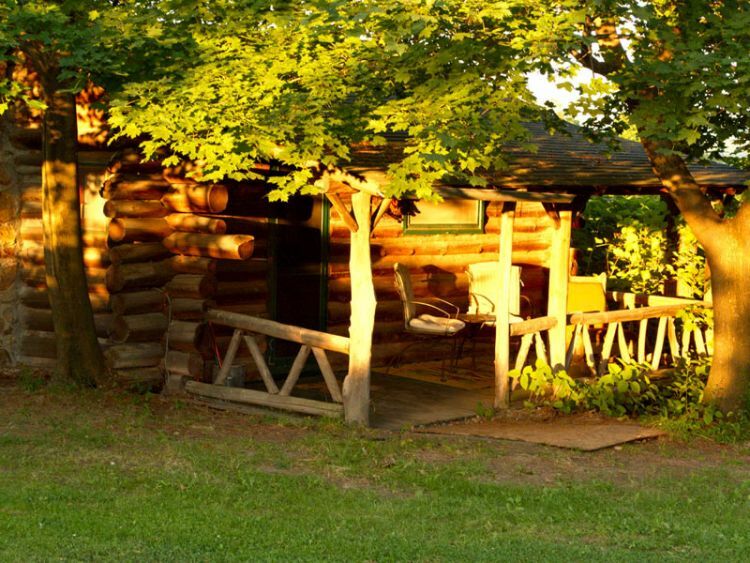 Today we are going to explore a vacation rental log cabin located in the Finger Lakes National Park area of upstate New York. 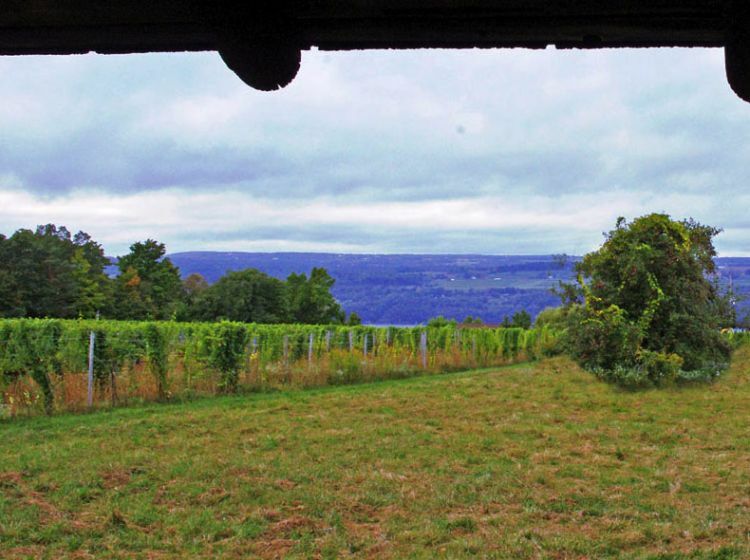 This stunning vacation home is set in park-like grounds with an adjacent vineyard and gorgeous sunset views over Seneca Lake. 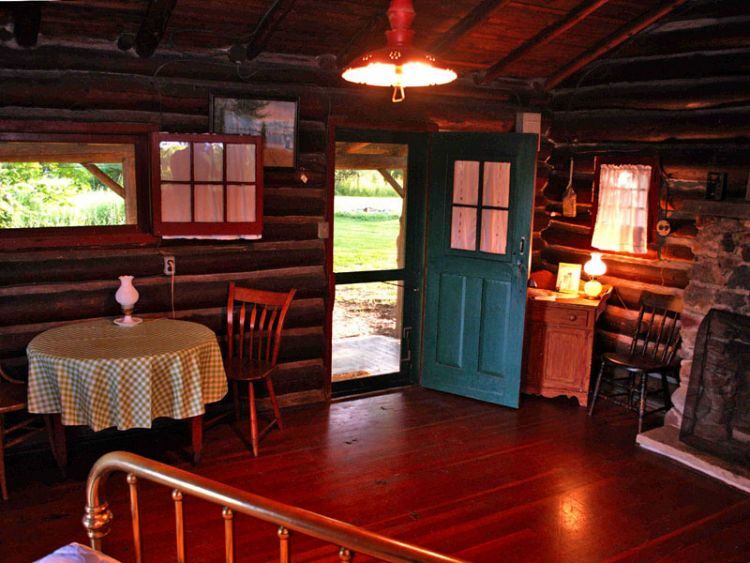 Constructed in the 1920s, this historic log cabin oozes rustic charm. Care to take a look around? 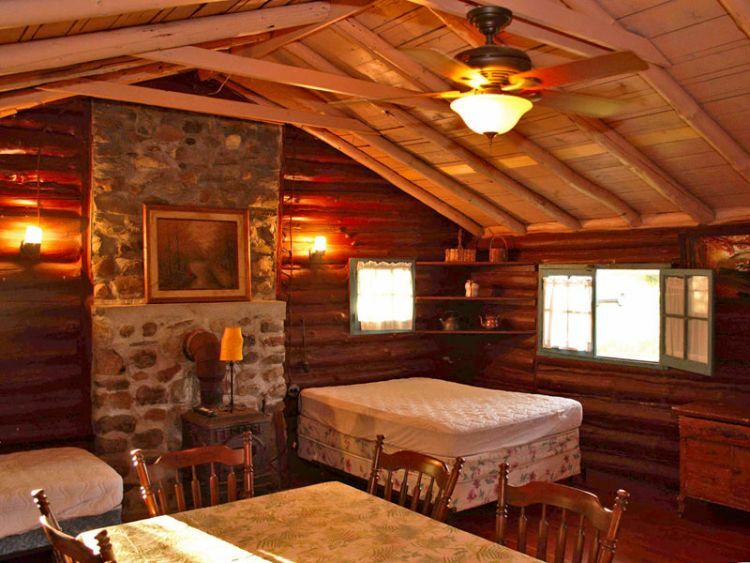 This cabin is a gorgeous historic structure which invokes nostalgia of settlement days - a gentle reminder of America's connection with log cabins. Taking a look at the cabin from the side, we can see a robust construction of whole pine logs. 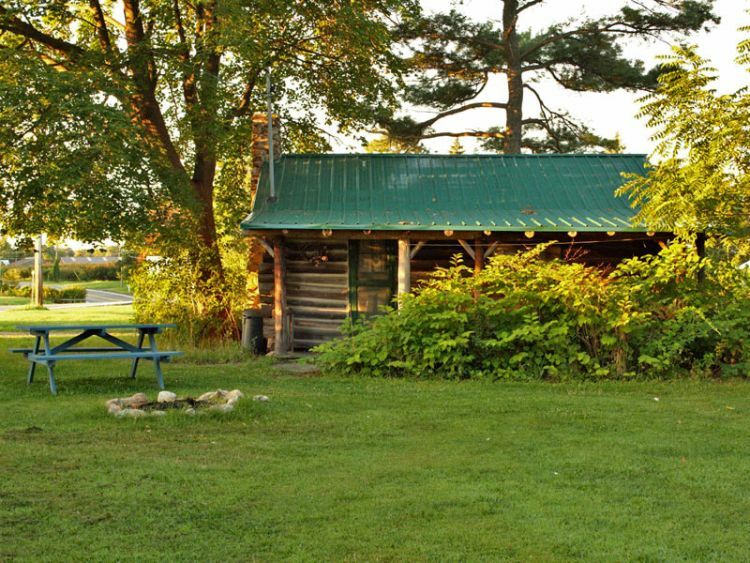 The cabin is set within acres of park-like grounds. 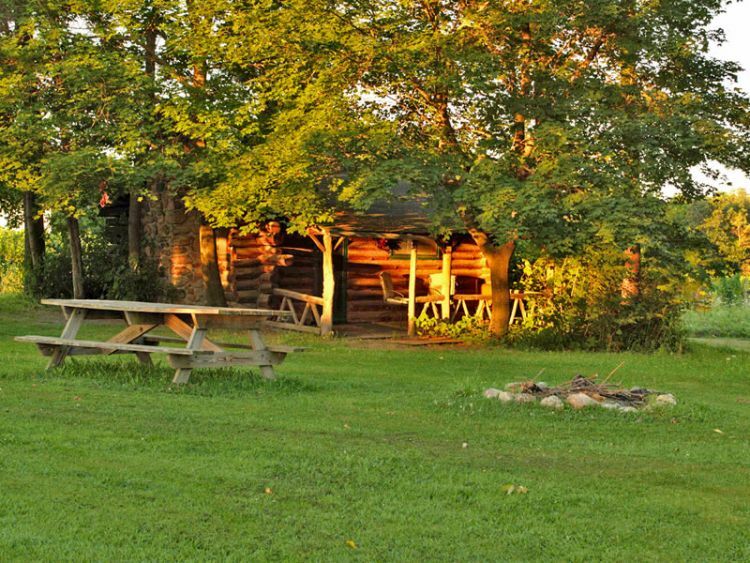 It comes complete with a firepit and a picnic table - perfect for outdoor dining and stories around the fire. 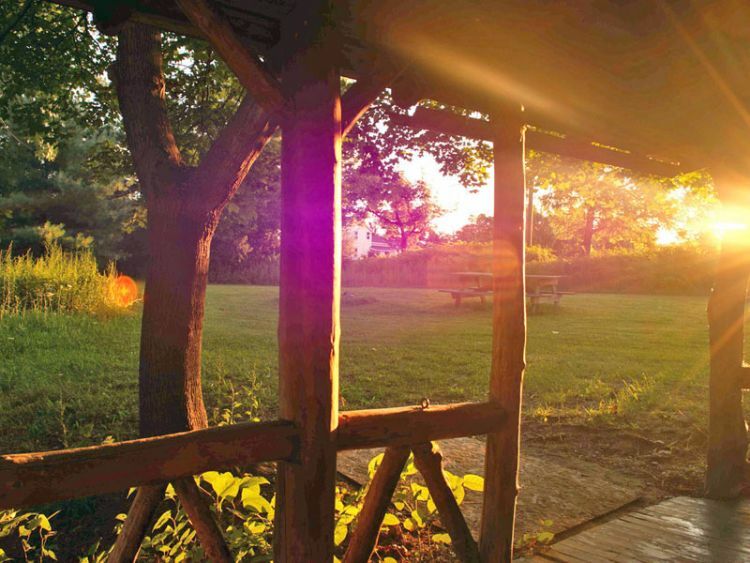 One of the most important elements of a log cabin is the porch. There is no better place for quiet contemplation than melting into an old rocking chair surrounded by aged trees. 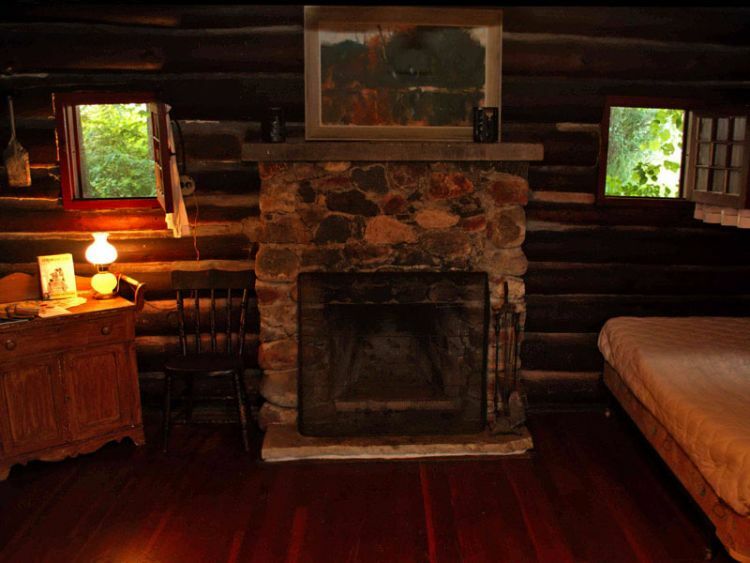 Inside the cabin, we find an inviting space with a timeless rustic feel. Bare log walls, hardwood floors, and rugged furniture combine to create the perfect woodland getaway. 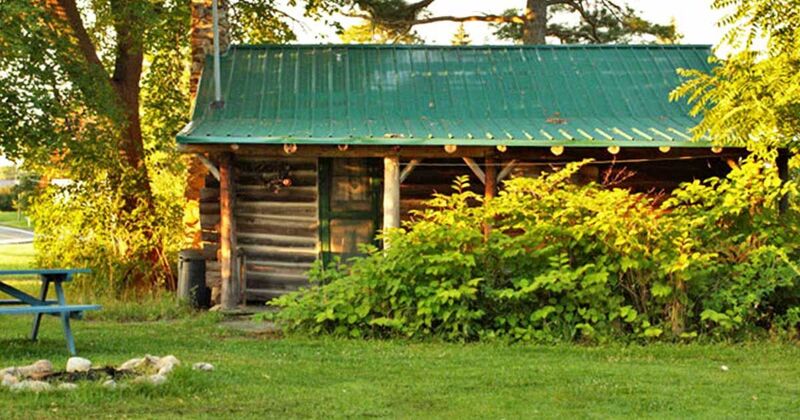 The cabin is a simple one-room building which complements your outdoors lifestyle. The beautifully antiquated country-style kitchen is the ideal place for meal preparation, while the large dining table is a helpful solution for those days where you want to eat indoors. 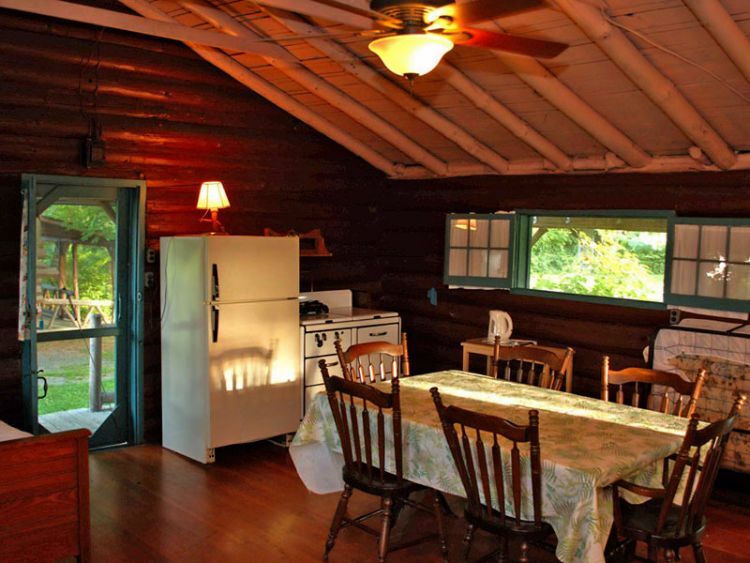 The cabin features an attractive stone fireplace which effortlessly heats this small living space. Every log home should have a fireplace like this - what a dream to enjoy evenings around the fire with friends and family. 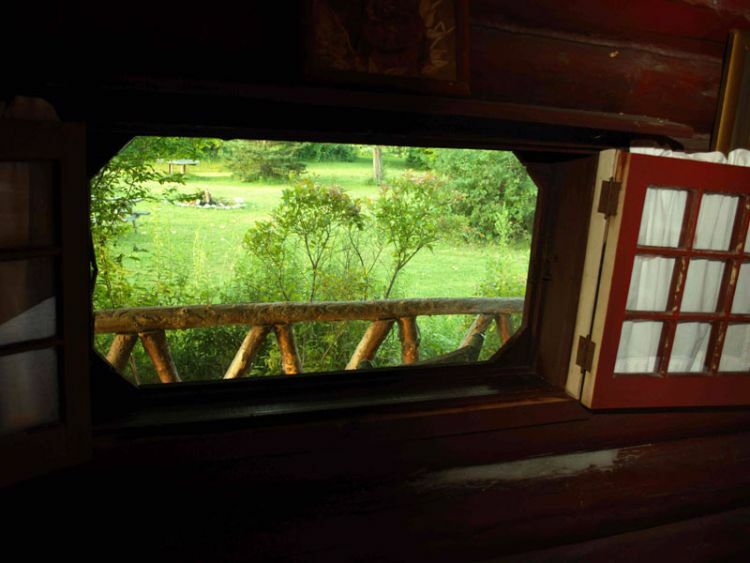 As we take a look outside of the window, we see the vibrant green of the surrounding landscape.